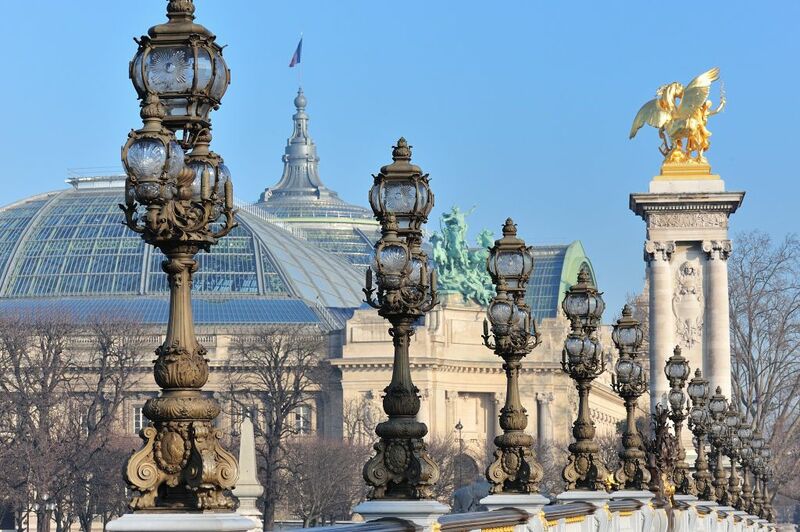 Spring is fast approaching and many of you are planning a visit to Paris. So picking up from my tour of the city’s arrondissements, today I grab your hand and guide you around the 8th. Many Parisians go to work in the 8th arrondissement. Avenues like Hoche, Friedland, Haussmann are home to national and international companies, their spacious offices tucked away safely inside the tall imposing Haussmannian buildings. Before I was married I worked for several years on the avenue Hoche, and remember clearly the sweeping staircase and sky-high ceilings of our elegant offices. The bonus at lunch time was being just next door to Parc Monceau, filled with pink blossom in the spring, and an ideal place to sit with a book and a sandwich on my lunch break. To the visitor however, the 8th is often an obligatory port of call. 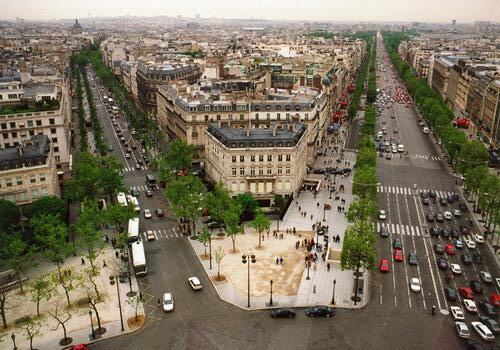 The Champs Elysees, at the heart of the so called golden triangle, leads from the Arc de Triomphe, down to the Place de la Concorde, passing by the Grand and Petit Palais art museums. If you are looking for a more charming museum then visit the Jaquemart André, an imposing building, dating from 1875, when it was a private home. Today it’s an art museum but still within the original home, and the trip back in time to late 19th century Paris is fascinating. This arrondissement has to have the highest density of prestigious palace hotels: the George V; the Crillon that will re-open 2016 after renovation; the Royal Monceau; the Plaza Athenée; and the Hotel Bristol are all within walking distance of the Champs Elysees . If you don’t need palace service and you like a smaller hotel, then you’ll probably enjoy the Francois 1er, where the service is excellent and the rooms very chic. But the 8th is much more than just the Champs Elysees and I’d encourage you to stay off the main avenue, and instead get involved in a more authentic side to this city hub. First of all, dining. If rubbing shoulders with celebrities and politicians is your thing, then head for Le Fouquets. 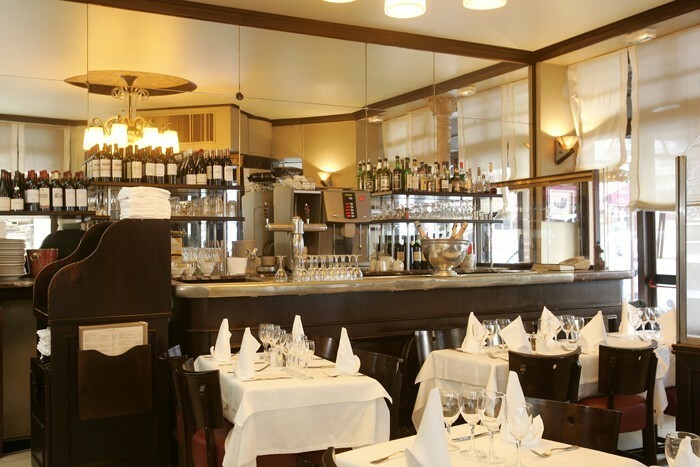 Personally I prefer the charm of the very Parisian little bistro, chez André , where tables are packed in side by side, service is rapid and sometimes brusque, but where you really know you are in Paris. And if you want something a little more chic, and upmarket, then head for Le Chiberta and taste the cuisine of the famous chef Guy Savoy, or to the legendary Boeuf sur le Toit, for good food and jazz music. For a taste of chic french patisserie and a choice of perfect gifts to take home with you in the plane, head down to Fauchon on the place Madeleine. While you are there, be sure to visit the huge imposing la Madeleine church in the centre of the square. Besides being a place of worship, it is also a magnificent venue for concerts which take place several times each week. The fashionistas among you will love the rue St Honoré where they can shop until they drop, and if you are clever enough to know anyone who is a member of the Club Interallié, then be sure to get yourself invited for tea – one of the most divine havens in the city centre, and a lo-o-ong waiting list for club membership. Voilà for today, I’ll see you soon in the 9th! Sharon I love learning about the different arrondissements of Paris from you! I will be visiting Paris this Spring ! I am enjoying your step by step series on the arrondissements. While one can never see everything in a few weeks it will be wonderful to actually wander the esplanades and avenues and see the magnificent architecture, churches and museums….oh and perhaps a wee bit of shopping! Thank you for this valuable and delightfully presented tour! Great memories in the 8th, and am looking forward to the 9th! Lovely spring day to you! Oh, darling girl. Now you have my attention. My Husband took my on a 17 day Hooneymoon back in 1987 to England, Kenya and Paris. We stayed in the 8th Arrondissement at the Lord Byron Hotel there just off the Champs Elysees. That hotel has such history as all of Paris has. I don’t know if it is even still there now. We had such a wonderful time going to the restaurants only the locals knew. You see my husband had lived in Paris for 10 years between 1960 and 1970. So we had Morrocan food one day and authentic Chinese the next. Of course, one must see Notra Dome and the Louver etc. but my favorite places were Brasseries and Parks with fountains. And of course, I will never forget Gerlain Fragrances where he bought me my first bottle of real perfume, Shalimar as I remember. Oh, the memories we make in such a magical place. I’ll be with you all in spirit this Spring as you visit this Golden city. You must see it in the earlymorninglight. The whole city looks golden in color. Stunningly beautiful. So much to see & do Sharon, thank you for sharing these wonderful places! Sharon, I just have to say, your posts MAKE MY DAY! Thank you for doing what you do and doing it so beautifully. I can hardly wait for my trip to France next year and your posts are proving to be the guiding force I needed, to assure a most memorable and authentic French experience. 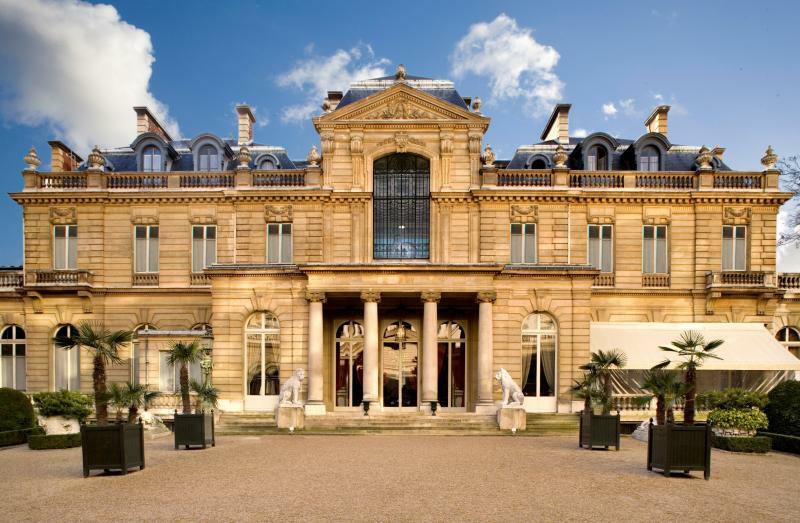 Aussi dans le VIII, il ne faut pas rater le Nissim de Camondo, magnifique musée dans un hôtel particulier du début 20e siècle. Je suis entièrement d’accord avec vous, c’est LE petit musée par excellence, à mon avis plus intéressant que Jacquemart André (sympa pour son restaurant). L’histoire de la famille Camondo est tragique et la visite n’en est que plus émouvante. I always eagerly look forward to the next instalment in this series. Seeing Paris and France through your eyes feeds my French obsession when I’m half a world away. It also give me hope and courage when facing the continuing disappointments and disasters of ma maison secondaire in the east of France. Amicalement. Though not my favorite arrondissement, I am getting to like and know it better. Will try Chez Andre next time! I didn’t know about this one! 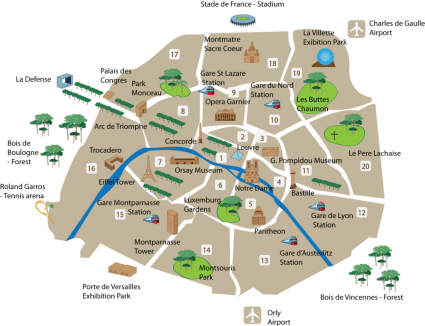 I have collected all of the installments you’ve written about each area in Paris so that I can use them for my next trip. Wonderful information. Good Morning Sharon, now that was a dreamy walk and I’m ready for another cup of coffee. Thank you for sharing beauty. Have a wonderful weekend. Till next time regards Esther from Sydney. 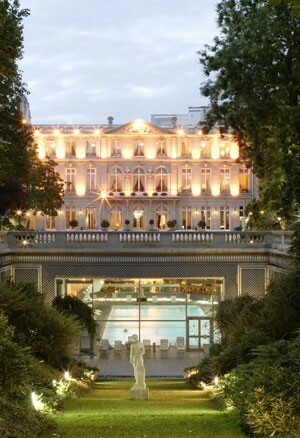 PS my husband tells me honey when we win the Lotto Paris is the first place on the list….sure would be nice. Thank you so much have enjoyed each and everyone,Have a lovely weekend Sharon. Excellent recommendations! I have been twice to the Jacquemart Andre museum and highly recommend it as well and so happy to read of your inclusion! The first time my husband and I went without advance tickets. The second time, I took three girlfriends, and I purchased our tickets in advance. Your readers could also enjoy lunch there in their lovely resturant! This is one of the most beautiful areas of Paris! Thank you for your information! What is the last photo–with the swimming pool and the building on top and the statue in the foreground?? You and your posts are so.. . . .informative and truly delightful. I love these posts! I have been to Paris many times over the last 30 plus years and it never gets old and I always learn something new and wonderful each time I am there!